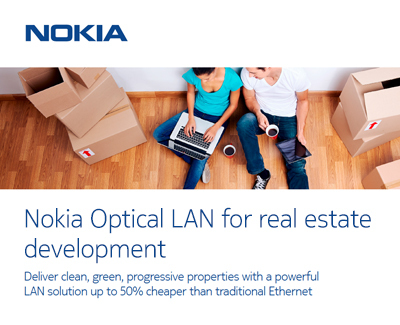 Save money, save space, go greener, and boost the performance of your organization with Optical LAN. Most Ethernet-over-copper local area networks in use today rely on 30-year old technology. Sure, they’re managing to keep up – just – but not for much longer. 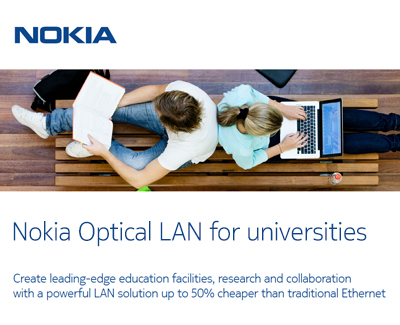 Meet Optical LAN, a LAN for your future, not a chain to the past. 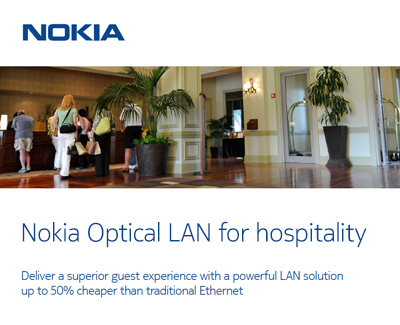 The high performance of Optical LAN brings operational simplicity, cost savings and military-grade security. 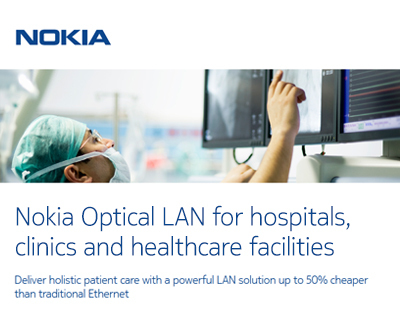 Learn more about Nokia’s solution and how organizations around the world are already enjoying the benefits. Networking equipment. Cabling. Maintenance. Energy. Floor space. 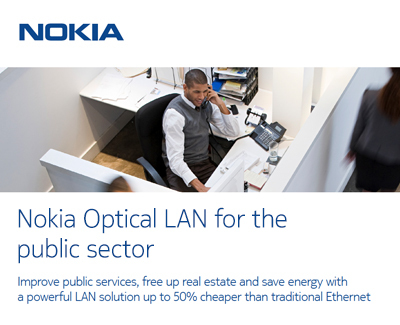 Everywhere you look, Optical LAN saves both capital and operating expenditure. 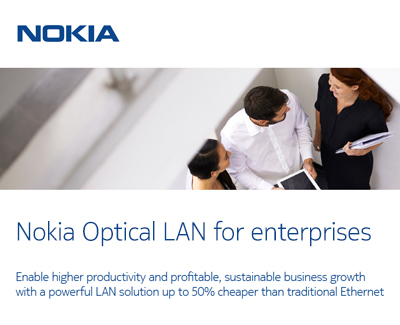 Calculate how much your organization could save by switching to Optical LAN.